While big news outlets have had a traditionally strained relationship with Facebook, local news publishers are now excited to be gaining more attention from the social media platform. In the past, Facebook has been presumed as a threat to local news, with dominance over digital ad dollars, and advertising algorithm changes. 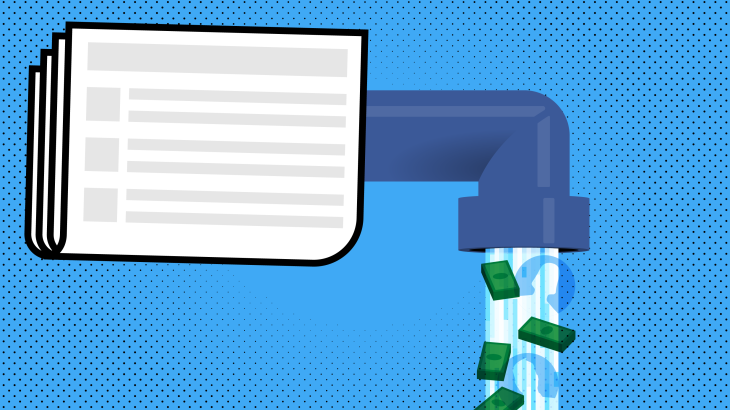 This June however, Facebook completed its first Local News Subscriptions Accelerator program, in hopes to repair its image with publishers that have suffered from the growing dependence on social media platforms for daily news. Bringing together people from 14 different metro publishers, Facebook held three gatherings focused on exchanging the best practices in growing subscriptions to local newspapers. The platform also continued their support by distributing roughly $3 million in grants, in an effort to provide expert training, and develop programs to implement new practices. Plans for the grant are to help local news outlets re-engage registered users, convert people who are using mobile devices, and to implement AI, getting users past the paywall and closer to subscribing. Overall, the relationship between Facebook and local news has developed to become more codependent. Facebook needs and values local news on its platform, and is introducing new sections to increase both viewership and subscription of local news. While the relationship between social media and smaller publishers is somewhat rocky, this new program shows that local news still has an important place in our Facebook news feeds.